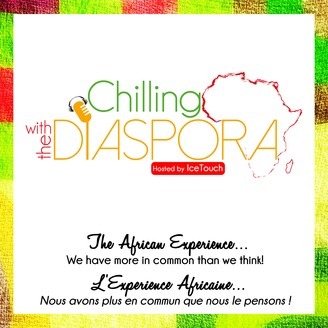 English version: Let’s get on a journey inside the multifaceted African diaspora, where IceTouch discusses with guests (from different African countries), topics that occupy the minds of Africans abroad. We will get into the diversity and unicity of Africans in the diaspora…Welcome inside the African experience. > Let’s not forget: We have more in common than we think! Version francaise: Entrons dans la diaspora africaine! 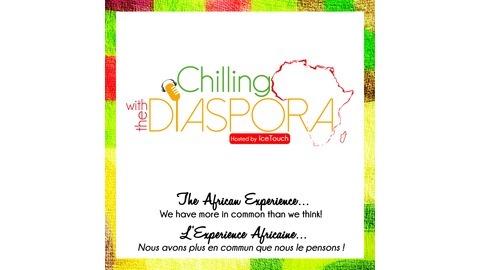 IceTouch et ses invités (de divers pays africains) discutent les sujets d’intérêt pour cette diaspora. Nous allons découvrir la diversité et l’unicité de cette communauté… Bienvenue dans l’Experience Africaine. > N’oublions pas: Nous avons plus en commun que nous le pensons! Imagine not being able to speak a word of English as a teenager who just moved to the United States. Imagine getting bullied for being African and then just a few years later turning it all into being an amazing source of inspiration and leadership for young Africans living abroad. Doing that through public speaking across the United States and the world. From the DRC based out of Florida let's get into Salem Soni's African experience. More about Salem Soni: salemsoni.com Salem Soni on Instagram Salem Soni on Facebook Salem Soni on Twitter To discover in this episode: [01:39] - Salem's story about growing up in Kinshasa and why his family ended up moving to America. [10:36] - Overcoming the language barrier and experiencing racism and bullying. [17:23] - Salem's parents had played a vital role in keeping him grounded and centred. [22:22] - Why did Salem decide to go into public speaking? Talking about inner peace, understanding who you are, influencing and inspiring people to action as well as the immense power of words. [30:17] - What is Salem's ideology and who does he hope to speak to? [39:11] - Top three tips for making success happen. [46:55] - Salem talks about his vision, how to make a living from public speaking and gives more tips to other Africans. [1:04:40] - IceTouch's AHA moment. Click to Listen: Hope you enjoy the show! Tell me the most insightful item to you from this episode, by clicking here and leaving a comment. It would be immensely helpful. Fan of The Show Follow us on Facebook If you love it, rate it on iTunes! Send me an email More Podcasts Don't forget to share The Podcast with all your friends!